The iDVR-E Series Surveillance DVR's and the iDVR-RT16 are remotely accessible using a Mac computer. Access through a Mac computer can only be done using the Mac DVR Viewer Software. The Mac DVR Viewer Software allows the user to view live video, configure DVR settings, view recorded video playback and control PTZ cameras. 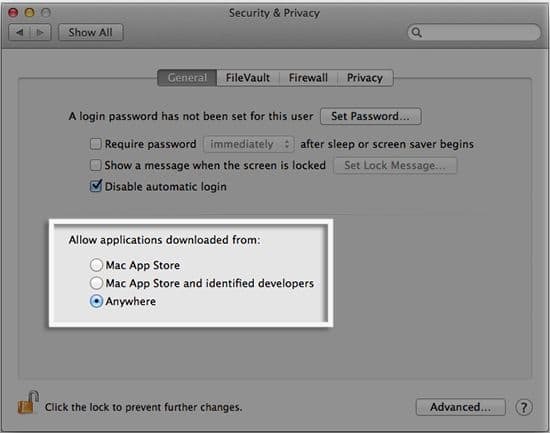 Users can also view multiple DVR locations on Mac by launching multiple instances of the viewer software. To access the iDVR-E remotely using a Mac computer, please follow the instructions below. 1. First, you must ensure that the correct ports are forwarded in your router. If you have not yet done, please visit our Network Setup / Port Forwarding article. 6. Here you can configure the settings of your iDVR-E.
To perform playback on your iDVR-E using a Mac, please visit our Remote Playback (Mac) article. 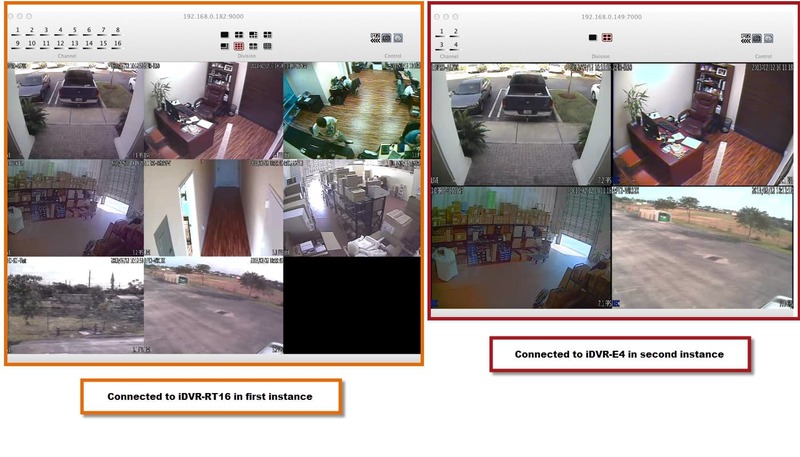 Many of our customers (especially businesses with multiple locations) need to be able to view multiple DVR locations at the same time from a single Macintosh computer. This can be done with the iDVR Mac software by launching multiple instances of the viewer application. At this time, the software does not have the option to do this from the menu of the app so CCTV Camera Pros wrote a command script that lets users launch additional instances of the DVR software. Click to download the command script. Save the file to your Applications folder on your Mac. Double-click on the run-isms.command program to launch the application. Connect to your first iDVR following the instructions above. Double-click on the run-isms.command program again to launch another instance of the application and connect to a second DVR. The below screenshot was taken from our office in Lantana, Florida. On the left, we are connected to a 16 channel iDVR-RT16 (with 8 CCTV cameras connected to it). On the right, we are connected to an iDVR-E4. Please click for larger screenshot view.